New William & Mary football coach Mike London announced Friday the hiring of four coaches to his staff. EJ Barthel will serve as offensive assistant coach and recruiting coordinator). Mike London Jr. was named an offensive assistant. Gordon Sammis will be the offensive line coach. Josh Zidenberg will be special teams coordinator and assist on defense. 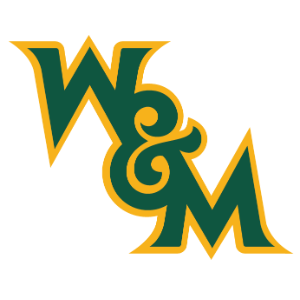 London had announced earlier in the week that Brennan Marion, his offensive coordinator and quarterbacks coach at Howard, would join him on the staff at William & Mary. Two of the coaches have UVA football ties. Sammis is a 2007 UVA alum, who played offensive line for four seasons under Al Groh, before returning to UVA as a grad assistant under London from 2010-2012, working with tight ends and the offensive line. Sammis then served on the staff at Columbia from 2012-2014 as tight ends coach, offensive line coach and recruiting coordinator. He later spent two seasons each at VMI and Lafayette. Zidenberg is also a 2007 UVA alum, who served as a grad assistant at his alma mater for two seasons, 2009 and 2010, before spending time on the staffs at UConn, VMI, Lafayette and Western Illinois. London makes his debut as coach at William & Mary on Sept. 7 at UVA, where he coached for six seasons, his teams going a combined 27-46 before he was fired in 2015. In 10 seasons overall, including stops at Richmond and Howard, London has a career record of 62-61.